WinCustomize: Explore : DesktopX Objects : S.U.I.Y. 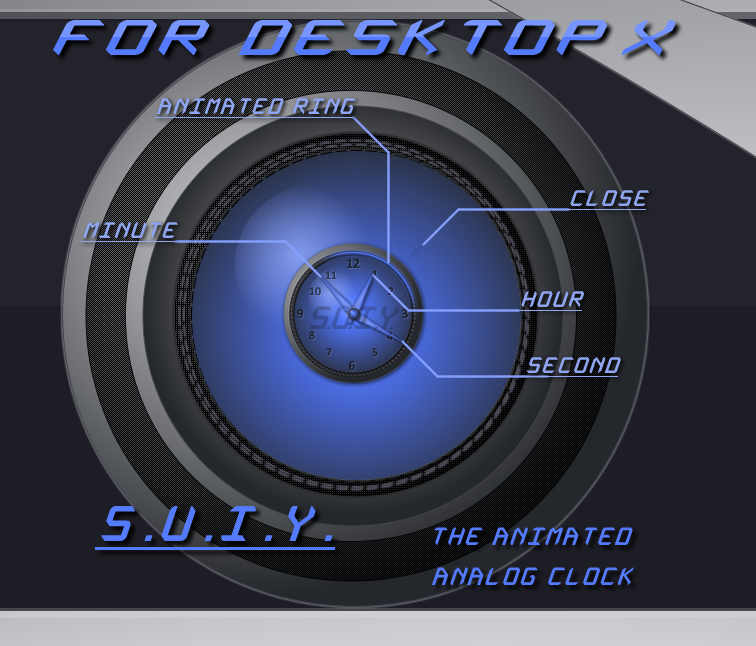 This is a cool little animated clock! There is more of the S.U.I.Y. suite to come! Email me with SUIY stuff so I can start the DX......sweet!! Goes very well with the skin, Harley! Great DX object Harley !